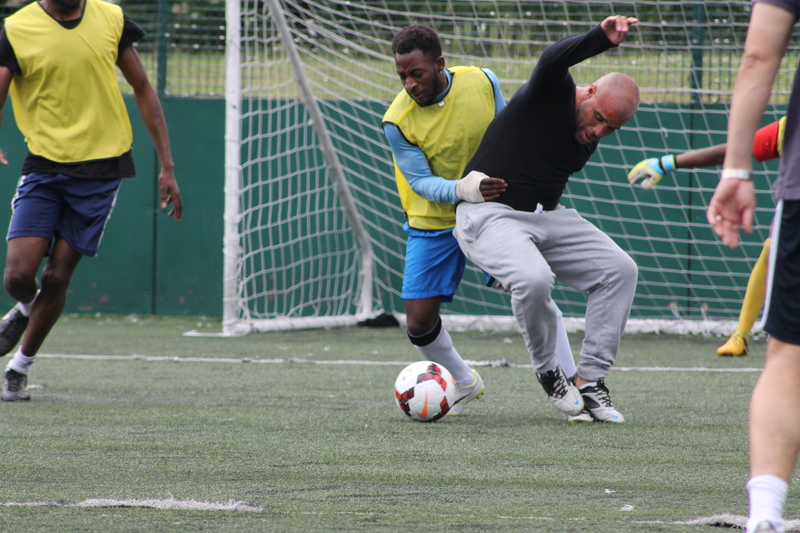 In the wake of the New Mental Health Charter for Sport & Recreation, Birmingham Public Health have commissioned Start Again Project to use Sports and Physical Activity to help engage young people suffering from poor mental health. The recent commission will enable Start Again Project to continue to deliver their ongoing Sport & Wellbeing Programme aimed at improving the lives of young people suffering with mental health and emotional issues. The programme which continues to be rolled out across Birmingham throughout October/November 2015 comes in the wake of the newly launched Mental Health Charter; created by the Sports and Recreation Alliance alongside the Professional Players association. The Charter, which is designed to set out how sport can use its collective power to tackle mental health and the stigma around it, has garnered support from a number of professional athletes such as ex-professional footballer Jimmy Bullard, Olympic silver medallist Gale Emms, Horse Racing Jockey Frankie Dettori and Tour De France winner Chris Froome to name a few. Now, local Social Enterprise Start Again Project is set to join The Mental Health Charters rank of growing number of affiliates this winter. Start Again is a pioneering Social Enterprise that provides services in Physical Activity, Sport and Supported Accommodation which aim to improve the life chances of young people dealing with complex issues such as homelessness, poor mental health, domestic abuse, social exclusion and anti-social behaviour. Through the work they do, young people are encouraged to build their self-esteem, confidence and raise their aspirations to enable them to live a more independent life. To date, the organisation which has been in operation since 2009 has supported over 2,500 young people across the West Midlands. The Sport & Wellbeing Programme will deliver a range of activities such as Football, Netball, Cricket, Walking and biking with an aim to engage young people between the ages of 13 to 30, whilst creating a fun environment where young people feel safe with no expectations on their physical abilities. Participants will have the opportunity to open up about their complex issues to people and staff that will help and guide them into progressive avenues. Young people wanting to take part are able to self-refer and attend any of the sessions as long as, they reside in Birmingham, are not in regular sport or physical activity, and have previously experienced or are experiencing some level of emotional issues such as anxiety, depression, lack of self-confidence, social exclusion or generally just feeling down. For more information on this article, contact Daina Anderson at Social Enterprise Marketing on 0121 448 5570 / 07961759975 or daina@socialenterprisemarketing.org.uk. A Start Again Project & Birmingham Public Health Representative is available for comment on this piece.